Categories Anthems, Introits, Benedictions and Responses Instrument(s) Unaccompanied [a cappella] Voicing SATB Difficulty... It is of Hebrew origin and was part of the shout of the multitudes as Jesus entered Jerusalem: “Hosanna to the Son of David! Blessed is he who comes in the name of the Lord! 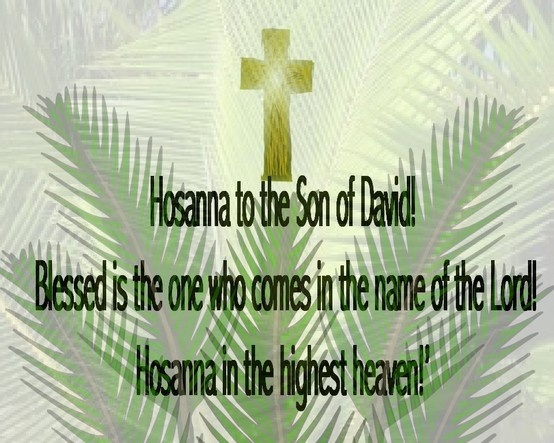 Hosanna in the highest heaven!” (Matthew 21:9). 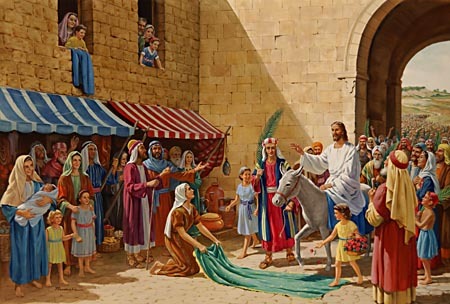 April 9, 2017 Palm Sunday “Hosanna to the Son of David” GATHERING AS ONE For those who would like, we will gather outside on MacKenzie Ave. to... Ho - san - na to the Son of Da - vid; j FCm/Eb Bb/D Cm F bless - ed is he who .. j .. . Dm/F Cm/Eb & &? bb bb bb comes in the name of the Lord, Bb/D Gm Cm7 F the King of Is - J .. . J Gm Eb Bb/D & &? bb bb bb ra - el.